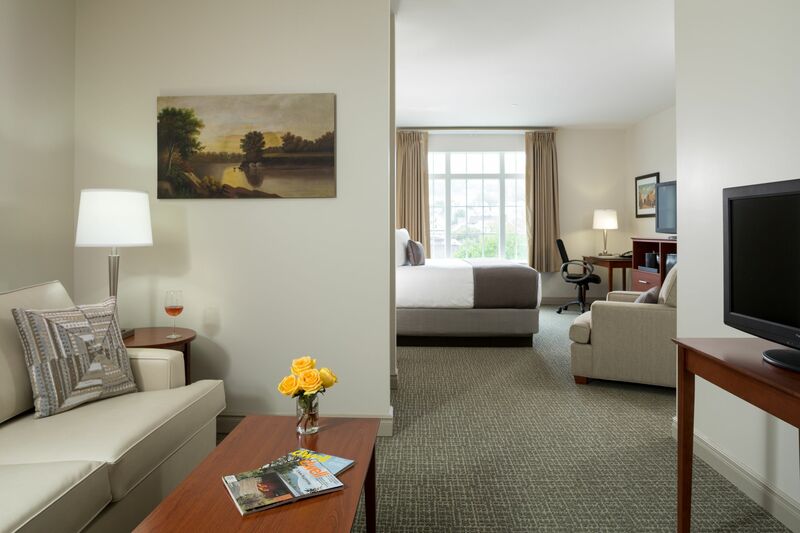 King Suites the most spacious of our accommodations feature a King-Size Bed with private bath, and full-sized closet. 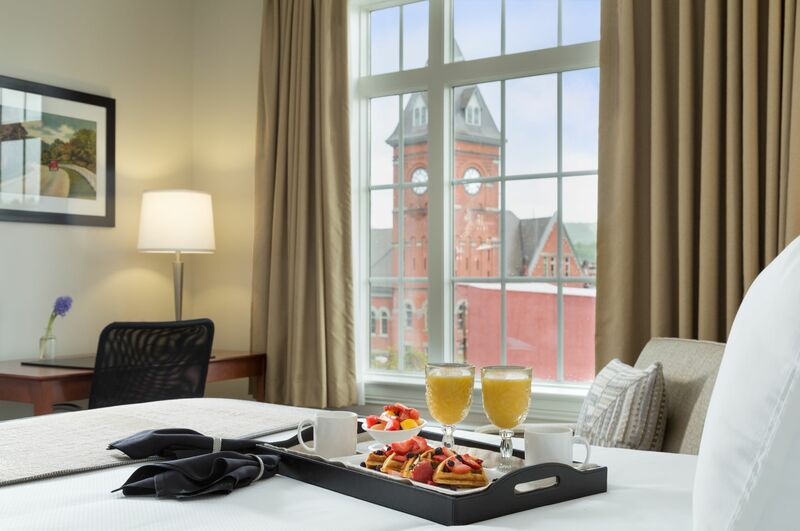 The expansive windows provide maximum natural light and views of the City and Historic Carbondale Hillside. The Suite has a separate sitting area with a full-size sleeper in all and some also include an additional lounge chair. All have a desk with office chair, phone, complimentary WiFi and a flat-screen TV with cable.